WE BELIEVE EVERY HOME IS UNIQUE Your home should reflect your needs, your tastes and your ideas of a great living design, whether you desire a classic look or a modern contemporary, from over-the-top luxury to understated elegance, Opulent Design-Build will deliver your dream, and make it a reality. More About Eddie Hodges: Eddie Hodges has been working in the field of real estate development for over 20 years. Over this time, he has continued to grow and become an accomplished and well-respected expert in custom homes. Eddie’s current specialty is to manage projects from the early concept stage to final completion. He performs on many different custom project sizes including smaller one-time projects to larger, phased multi-million dollar custom home design and development projects. 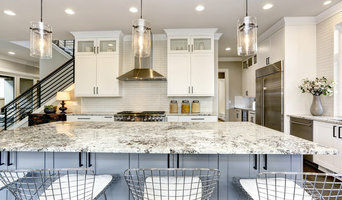 His first goal is to help clients to make the best decision possible for moving forward on a custom home build project. Eddie than infuses skilled development management to every phase of the project. His company support teams apply years of extensive construction experience and a commitment to achieving the bet possible result for every custom home he builds. 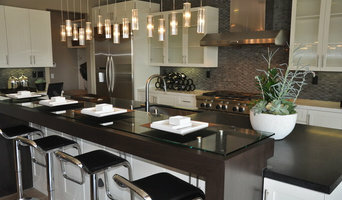 Riverside K&B Remodelers 3X Best of Houzz Winner Visit Us Today! With happy clients since 1982, Morey Remodeling is an unrivaled, award winning family remodeling company located in Signal Hill, CA. Our client-centered approach and an unwavering commitment to our clients' satisfaction have earned us an unprecedented 95% return client/referral rating. Let us prove to you why our reputation sets us apart. Racing Green is an LA based General Contractor, Interior and Architectural Design firm specialising in Design & Build Projects from our offices in the Studio City Hills. As a fully licensed contracting and consultancy firm we are leading the way in cutting edge residential development for an array of international clients in the greater Los Angeles area. Racing Green also have an active Home Services division, who offer handyman, plumbing, electrical and estate maintenance services. Simplify your home remodeling experience by combining smart design, a user-friendly team and reliable construction services in an all-inclusive package. 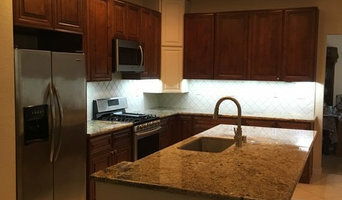 Overhaul Remodeling offers kitchen remodeling, bathroom remodeling, Home Additions and General Home Remodeling for homes here in the greater Los Angeles area. At Overhaul Remodeling our mission is to make high quality home improvement projects simple, enjoyable and affordable for homeowners everywhere. We simply want to be the #1 choice for residential remodeling services in every market that we serve. To achieve this vision, we strive to: -Always add value to the homes we work on -Provide clear expectations to our customers at each stage of the project and then deliver -Generate a consistent profit so that we can continuously reinvest in the company, improve our operations and attract & retain the best people around. Overhaul Remodeling is a “design-build” remodeling contractors, which means we can handle every aspect of your project from concept to completion internally with our own designers, contractors and material suppliers. We believe this approach is the best way to tackle the challenges of remodeling homes - it’s actually the only way we work. Our customers love it because they can get everything they need for their project from one place. And since we are 100% accountable for every aspect of the project, when something goes wrong, there is never any pointing of fingers between designers, contractors and suppliers - we just fix it. Services Provided Bathroom Remodeling, Kitchen Remodeling, Home Remodeling, Bathroom Design, Kitchen Design, Home Design, Home Additions. Revealing possibilities you've never imagined for your home! As both Interior Designers & Licensed Contractors, we are able to offer unique and educated perspectives from both sides of the project. We add luxury to any space no matter how large or small by selecting materials and designing details that truly reflect our clients and their lifestyles. Our focus is on creating exceptional living spaces for busy homeowners who want a more useful and beautiful place to live. Our combination of Interior Design and Remodeling Build services streamlines the process, making it easier for you to have a beautiful, well-planned home without taking up your time overseeing every last detail yourself. We believe that a project succeeds or fails in both the planning and the execution phases. We see Design and Construction as TWO very integrated opportunities to build your project: once on paper, and once in reality! We provide services for every budget level including interior design, layout updates, kitchen & bath remodels, furniture selection, custom window treatments, flooring, demo, installation, project management, & clean up. Our first consultation is FREE! We tailor our services and fees individually to each client's needs based on where they are at in their project In our over 30 years of business Candy & her daughters, Melissa & Meagan have completed countless design & renovation projects throughout So Cal ranging from single-room facelifts and furniture & window treatment installations, to kitchen & bath remodels and the full renovation of entire condos, homes, and private estates. We believe that trust & communication are essential to our client relationships. As a small, family owned business, we can assure you that everyone on our team is involved in your project from start to picture perfect finish and you aren't being passed off from one person to the next, ensuring a less stressful remodel! We understand the stresses often found in remodeling and strive to make your investment in designing and updating your home as rewarding and convenient as it can be! Whether your project is large or small, WCDC approaches each project with a foundation of solid design style combined with functional space use, quality materials, experienced project management and a commitment to workmanship. Come visit our showroom, meet our family’s team, and let us show you all we can do to transform your home! 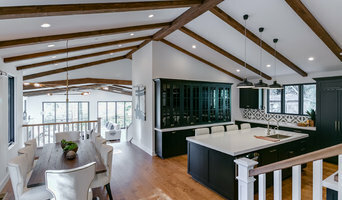 Beautify your home or office with gorgeous custom-built cabinets from the tenured professionals at South Coast Woodworks Inc. We offer primarily residential services but can also service commercial customers, and we are the ideal woodworking source for contractors, developers, and designers. Rest assured that you will receive the highest-quality cabinetry possible using only the finest materials and unparalleled craftsmanship that has made us a customer favorite with over 25 years of experience. We are proud to serve the Orange County and Los Angeles County areas from our Huntington Beach, California, location. We will work with your design or provide one by combining our many years of design experience with your input. We build, deliver and install all of the products that we offer. Contact us and we will gladly answer your questions and offer helpful suggestions. Stephens Development Company is a Southern California based residential development and construction company that specializes in building dreams. Our custom homes, remodels, kitchen and baths feature our quality workmanship exceeding customer expectations. What are your building dreams? Whether your dream is a large-budget new or remodeled home, a small-budget office remodel or something in-between, we build it with quality and integrity. We provide thoughtful, innovative design, expert material selection and best construction practices. And we see that things are done correctly from start to finish. Along the way, we build lasting relationships with owners, subcontractors and suppliers in a way that maintains the reputation for integrity we’ve earned over the years. Bringing architecture to life honestly, efficiently and with supreme attention to detail is what we do, and it has been our commitment since day one. Streamline Construction combines experience with the latest technology to produce craftsmanship that is beyond industry expectation. We create innovative cost and benefit solutions for the most complex construction/restoration challenges. We are the only construction company that will ensure faster and safer execution of your projects by managing every aspect, from preconstruction through completion. We bring our industry relationships and reputation as a builder to work on every project. We offer decades of construction/restoration experience across the nation, and partner only with the best design and construction affiliates in the nation. Together we work to make your vision a reality. 10% Off Jobs Over $5,000! Norm Tessier Cabinets was founded in 1978 and quickly became recognized as a leading manufacturer of custom cabinetry and carpentry for the Southern California and Inland Empire region. A family owned and operated business, we specialize in high quality custom cabinetry and woodworking. We use advanced machinery alongside traditional building methods to build and design your project. We have the ability to range in projects and small kitchens to the most boutique of designs and scale of projects. Our professional staff and our extensive automation and in house capacity enables to handle any size project most efficiently. Kitchen and/or Bath Cabinet Replacement: Update your kitchen or bath with new cabinetry in the existing or slightly modified layout. New countertops and backsplash make the room transform! From tear-out to completion, our all-under-one-roof approach keeps your project on time and on budget. Kitchen & Bathroom Remodeling: Completely transform your space, our designers take an organic approach to your remodel by viewing the space as it should be lived in by you and your family. If it's removing walls, creating openings or completely relocating the space - our all-under-one-roof approach will keep your project on time, and on budget. Using our online tools, you'll keep up with your project as it's happening even if you're away. "Your home is your life, Design Accordingly..." ® Best of Houzz 4x! Do you want to remodel but are busy and don't know who you can trust? Well look no more!! Construction Services provides Consulting, Design and Installation for Room Additions, Kitchen and Bathroom Remodeling. We are Customer Service focused and want to design to your needs and wants. We have been serving you needs for more than 19 years and we believe our company is above and beyond. At Construction Services, we've taken our collective experience to create our own methodology to keep your project on track and under budget. We know that your reputation is only as good as the results of your last job. That's why we pride ourselves on a results-oriented approach. Woolsey Fire Loss? We can Help you to rebuild you new home Lighting Construction & Design Our mission has always been to provide the best possible customer service. We aren't just looking or one project but rather to create a lifetime bond with our clients. Lighting Construction & Design is on one stop shop. We provide you with a 3D design, planning and contracting. We also provide financing options that may allow you to bring a project together with fewer financial concerns. Since 2004, Preferred Kitchen & Bath has been a leading Southern California full-service kitchen and bath remodeling company that provides everything from custom 3D design to construction to the finishing touches in your home. We take a detailed and passionate approach to every remodel we do. We focus not only on creating beautiful designs, but also on the intricate functions of the most important living spaces in your homes. We believe that every good remodel starts with a good design, which is then executed by superb craftsman and overseen by comprehensive project management. We are right by your side through all phases of the remodeling process. At Preferred, we fully understand how important a kitchen or bath remodel project can be. As such, we bring our nearly 50 years of combined experience to carefully and thoughtfully guide each client through the entire design experience. Please visit our beautiful showroom where you can start your home’s transformation and see how we are different by design. Best of Houzz 6 years in a row! Sea Pointe Construction is a prominent design/build residential remodeling firm servicing Orange County, CA. Since 1986, we have specialized in whole home remodeling with an emphasis on kitchens, bathrooms and additions. As a design/build firm, we take our clients from design concept to construction completion while staying within budget and on schedule. As a top-rated construction company that is family owned with over 25 years of experience, Cielo Construction provides design and build services for residential and commercial clients. Our team tailors each project to meet the unique needs of its clients while striving to surpass their expectations. Our team of professional contractors oversees and manages each project effectively through on-site preparation, on-time scheduling, budget and cost management, quality craftsmanship, and consistent client communication.